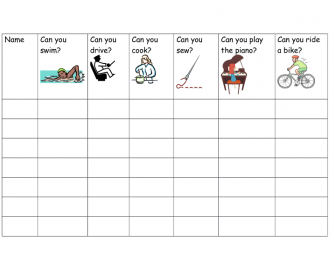 This is a worksheet to help learners practise the modal verb 'can'. It is a short questionnaire to enable learners to conduct a mini class survey. They write the names of the learners they are interviewing in the left column, and ask each one: Can you sew? 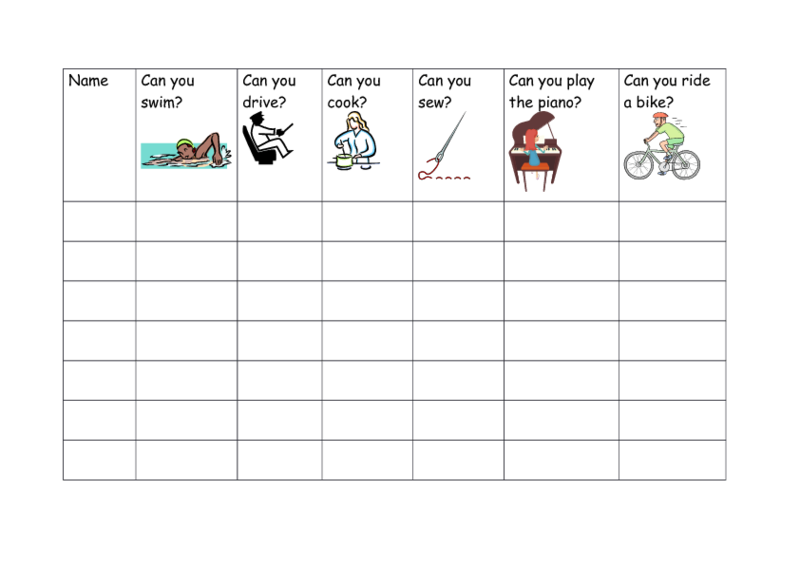 Can you swim? etc.